Kerry came to us as a ten week old puppy from breeder Locklyn Guzman. She was a serious dog, and, although she tended to be reserved with strangers, she enjoyed getting out and competing. For most of her life, the best way to motivate her to do her best was to work with another dog in front of her. 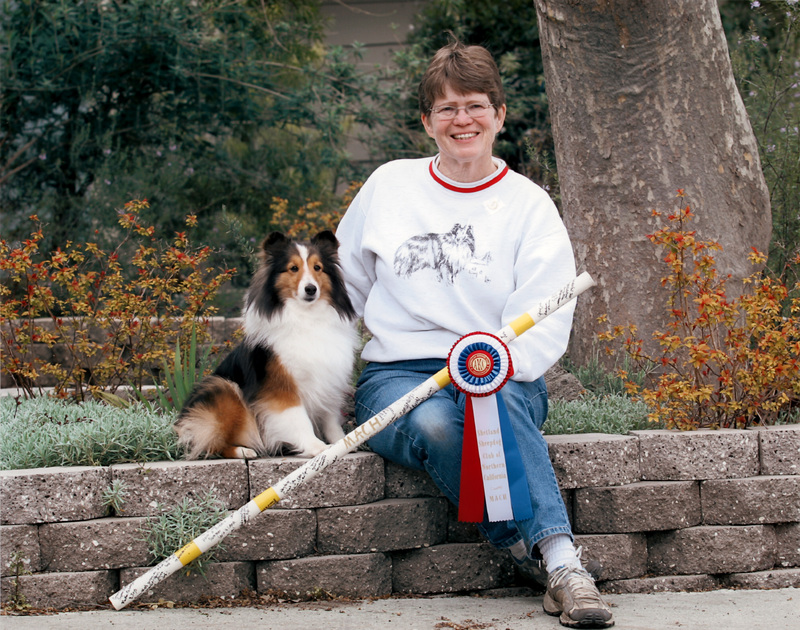 Kerry became competitive in the breed ring as a three-year-old, and won her second major to finish her Championship in February 2004. 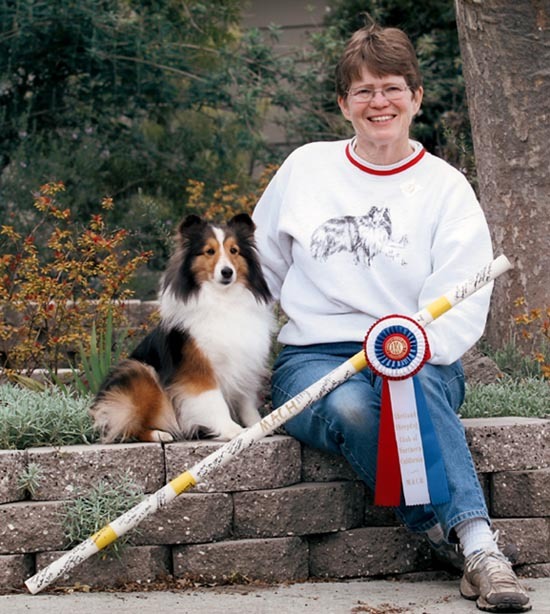 Always a dog who could train in several venues at once, she earned her TD title in tracking just six days after finishing her breed championship. Kerry is the dam of our Ch. Sagebrush Ceili Music, CD TD HT RN MX MXJ VCD1 VCX, from her first litter, and through Ceili, she is the first of five generations of Champions with Versatility Excellent certificates. 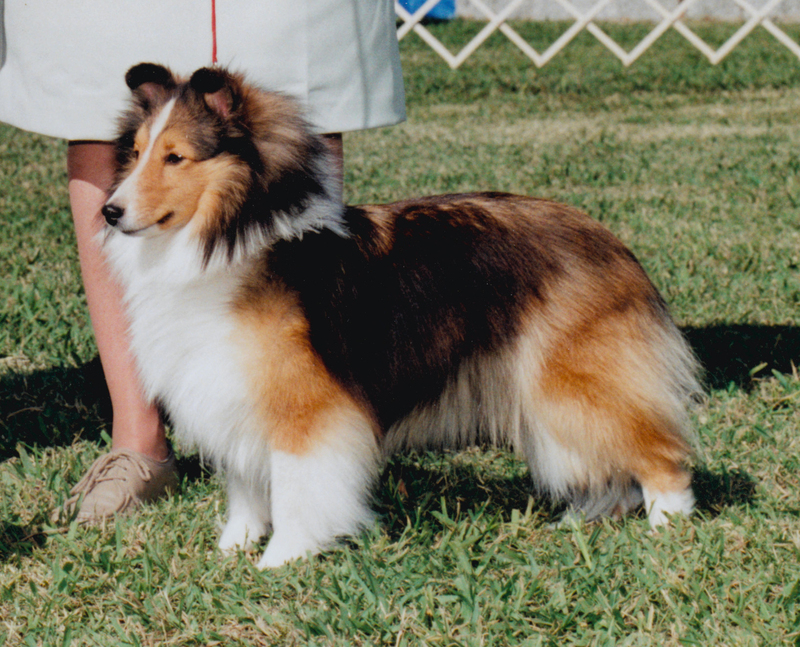 Kerry was one of the few Shelties to earn AKC championships in two different venues. She finished her MACh in April 2006, while four weeks pregnant. 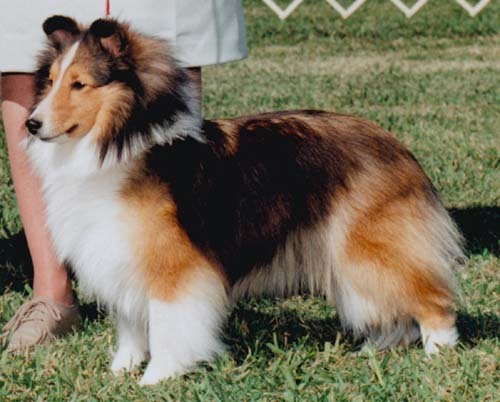 She also earned a Versatility Excellent award from the American Shetland Sheepdog Association when she completed titles in tracking and herding. This was Kerry's MACH run, when she was midway through a pregnancy. Kerry certified for tracking in December 2003, on a track far more difficult than she encountered in a tracking test. 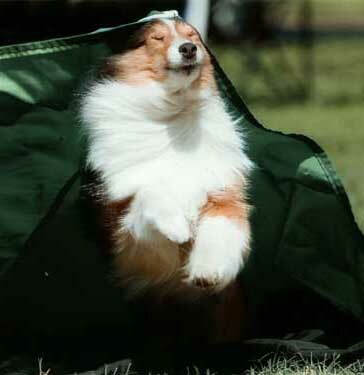 She earned her TD in February 2004, just six days after she finished her breed championship. 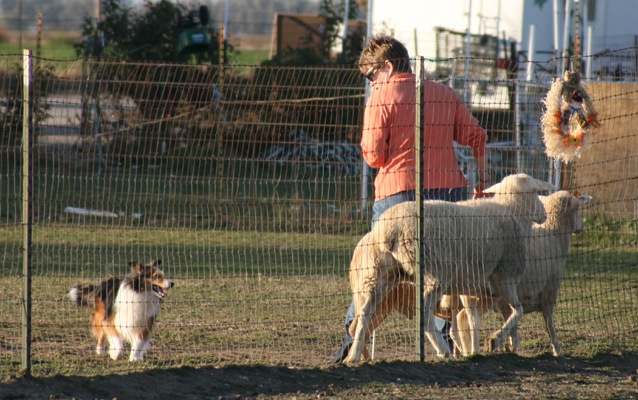 Kerry first met sheep when she was a four month old puppy, and passed her HCT (Herding Capability Test) at a young age. I was too much involved in tracking at the time to pursue herding seriously. Kerry earned her HT title in 2005 after only a handful of practice sessions. 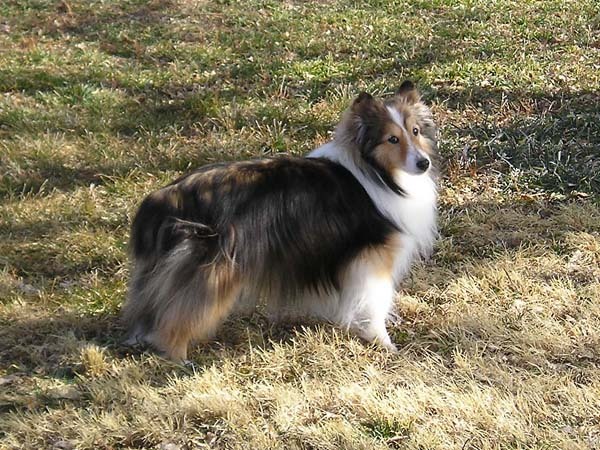 We returned to herding seriously after she finished her MACh in April 2006. She had lost none of her early enthusiasm, and quickly earned her PT title. 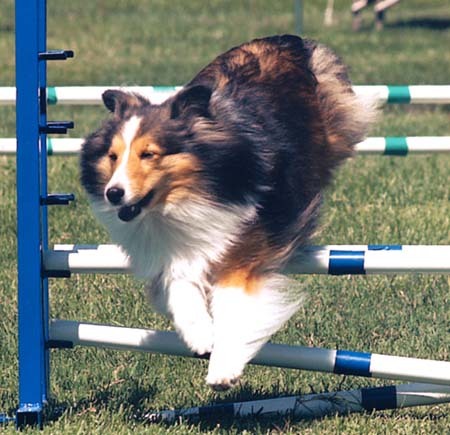 Dog News, August 13, 2010, in Tough Competition (Versatility Shelties article).